Sergeant David "Woody" Garrett suffered a broken eye socket and nose after an inmate attacked him. The inmate is a mixed martial arts fighter who has attacked jail deputies in the past. "It wasn't just an attack," Don Edwards, Morgan County executive, said. "It appears to be a very, very vicious attack on one of our correctional officers, in which his life was very real threatened." Edwards released documents to 10News dating back to March of 2014, showing his opposition to the state's move toward the privatization of the Morgan County Correctional Complex and a 28-day work schedule, in which correctional officers work six days on the job and three days off. On Thursday, Edwards said in a public statement that he is calling on Commissioner Schofield and Governor Haslam to conduct an internal investigation into the incident that happened and if there is any correlation with the switch to the 28-day work schedule and its impact on staff and the security of the facilities. "Concerns have been expressed to me about some of the changes, some of the administrative changes, which has led to some staffing difficulties at our correctional facilities," Edwards said. State Senator Ken Yager, R-Harriman, said the change to the 28-day schedule has lead to higher turnover rates, particularly in West Tennessee. This can lead to open positions, causing other employees to work double shifts, or shifts they're not accustomed to with unfamiliar inmates. 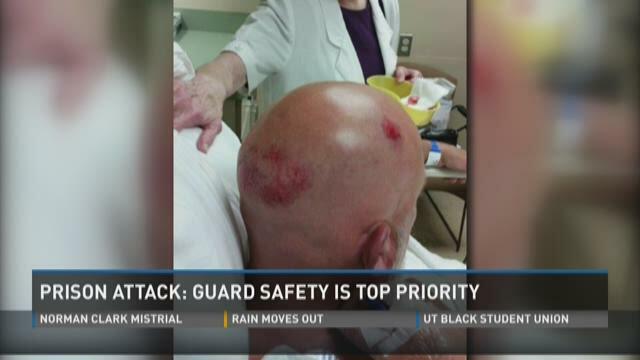 "You don't need to be guarding some of the most dangerous men in the state of Tennessee exhausted, so that's something we want to look at," Yager said. A Senate committee will be discussing the 28-day schedule, its impacts, and the recent attacks in Morgan County and West Tennessee at a meeting on Aug. 27. "The thing that concerns me the most is the safety of our correctional officers," Yager said. "You know, they have in the best of circumstances a very difficult job to do. I couldn't do it."